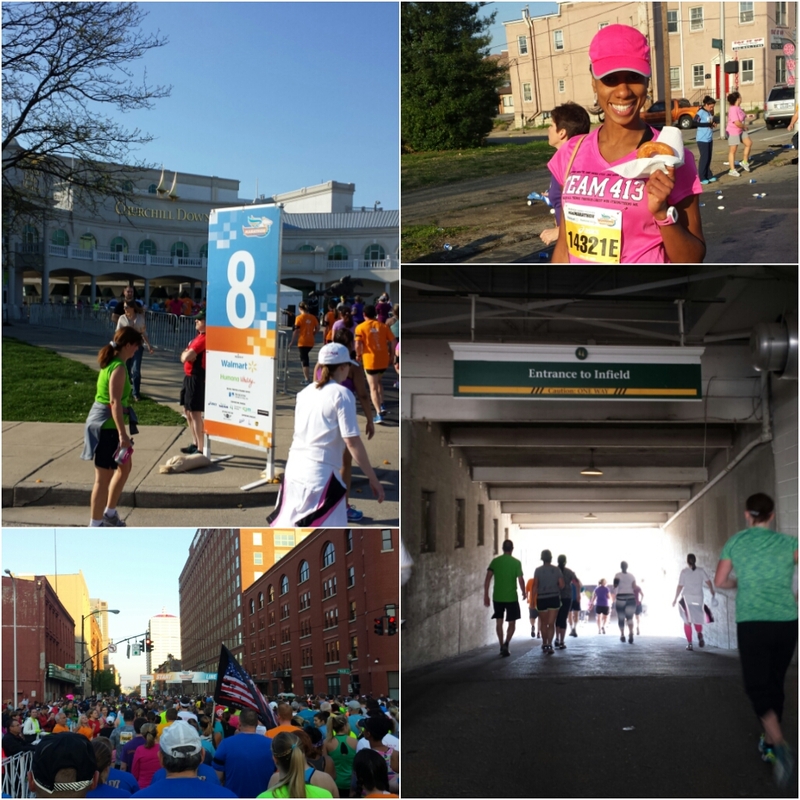 Last year, the KY Derby Festival Mini Marathon was the longest distance I had ever ran in my life. 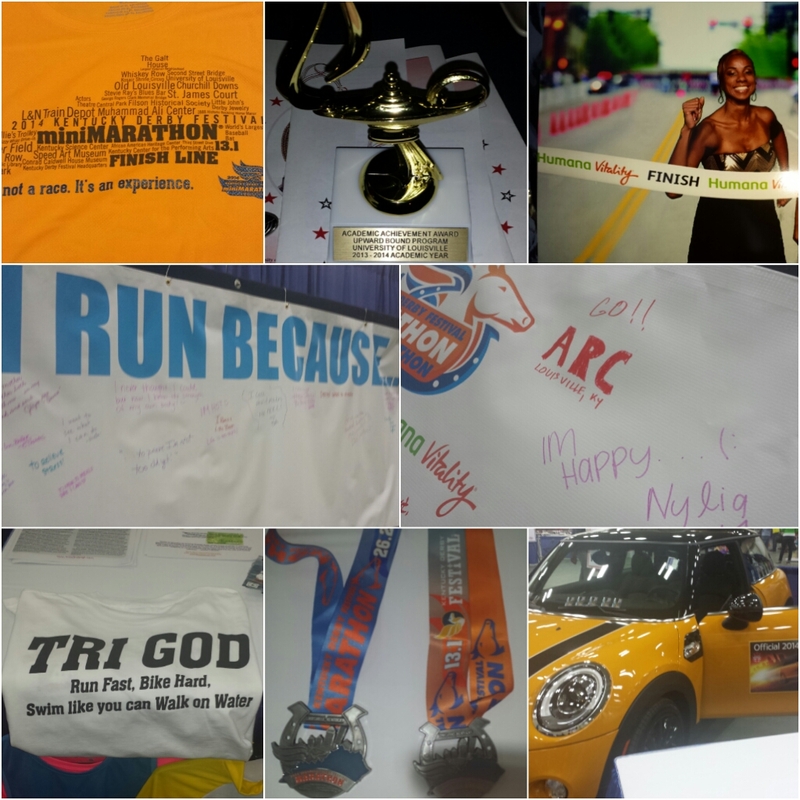 This year, the focus has been on a 16 year old who decided she wanted a lifestyle change by training to complete her first 13.1. We coordinated schedules and sacrificed Saturday mornings for training. Perms got sweated out, attitudes flared, and physical limits were pushed. We decided to packet pick up on Thursday to beat the crowd. Most people were in casual work wear or gym attire. Nylia and I were in semi formal dresses enroute to the Upward Bound Academic Gala at the Brown and Williamson Club. •Race shirts are lighter weight and softer than last year’s. •I Run Because… signature walls. My oldest brother called Tuesday to announce he would be down Friday for the weekend. Plus, it’s my nephew Pharrell’s (Yes, he was named after the singer-songwriter) 10th birthday. Unfortunately, he was a little under the weather. We all headed downtown to Joe’s Crab Shack. Downtown was jam packed due to a Brantley Gilbert concert. I saw a lot of people walking with Race Expo bags. I was so glad I got that out the way a day earlier. 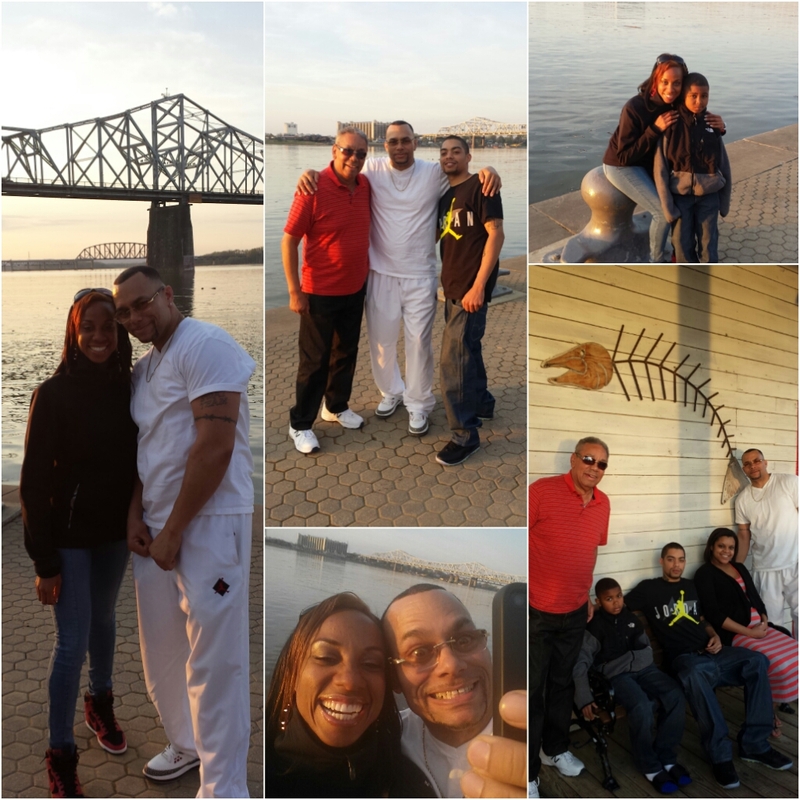 My oldest nephew Trey (Phillip III) was there with his lovely girlfriend, Tay who is expecting Phillip IV on June 3rd. We arrived just in time for the start and I was worried before we hit mile marker one. Nylia was starting to breathe heavily even though we were taking it easy. I knew she was good for at least 3-4 miles before she needed a break. I kept going in hopes that she would follow. The strategy worked but I didn’t want her to burn out with so many miles remaining. The run/walk approach worked best for us. All I was worried about was making sub 15:00 miles so we would not get picked up by the race shuttle for being too slow for street closures. During the 2nd water stop, I saw some Krispy Kreme donuts. My first time ever eating a donut while running. It was also my first time running with a crossbody bag versus a running belt. 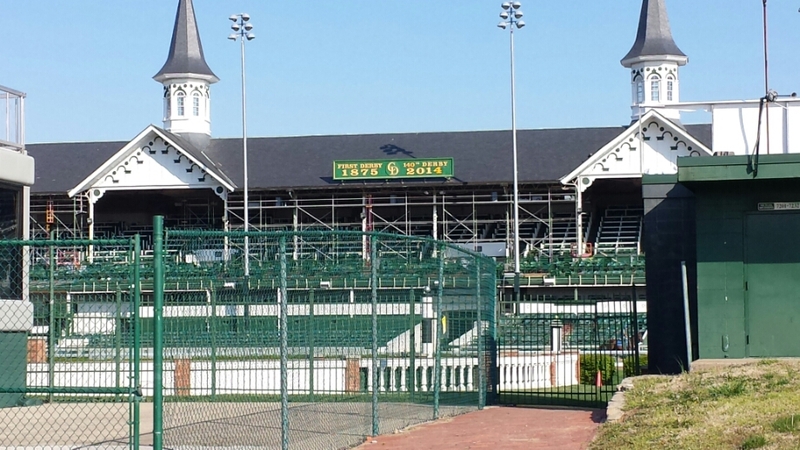 We stayed under the 15:00 pace which granted us time to take it easy on the infield of Churchill Downs. I received so many compliments, thumbs up, and high fives over my shirt. #1. 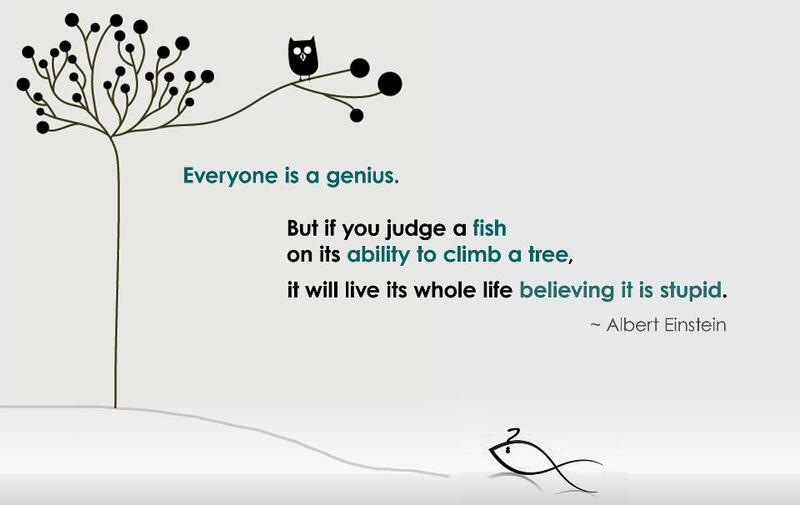 Never underestimate a person. I honestly did not think Nylia was going to make it. She performed at the best of her ability. Finish time 3:15. #2. New appreciation for runners and walkers towards the back of the field. No matter the speed, people are still going at the pace which is comfortable for them. #3. Nylia says she will do another half marathon but she would like to train more. She also wants to try some other sports. As long as she stays active, I’m good. Everyone doesn’t have to be a runner to be healthy. 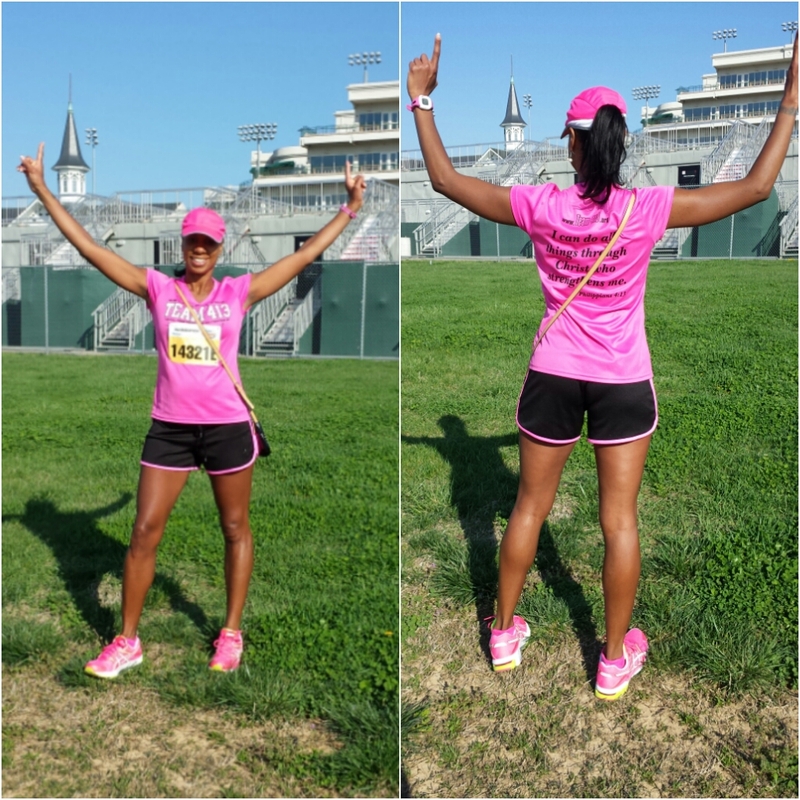 This entry was posted in family, Louisville, running and tagged Kentucky Derby Mini Marathon, Packet Pick Up, Race Expo. Bookmark the permalink. I would have never even thought of running a half marathon. Congrats to her for doing it and to you for mentoring her through it! I definitely missed the donuts at mile 2. Probably would have been a bad idea at that point but I could have used some sugar later in the race! I see you are doing the Indy 500. I heard about it last year and I’ve been eager to run it since. I will be there! It definitely helps to know someone well enough to know the right things to say! Indy should be fun and the weather is looking like it will be perfect. Good luck! No rain in the forecast! Good luck to you too! I need to check out some Cincy races since I’ve never really explored the area other than driving through Detroit bound. The Pig is the same weekend as Indy and is a great race. I’ve run the half four times and would definitely recommend it. The Pig organizers are starting a new race, The Queen Bee, this year that is targeted toward women. There aren’t many details yet, but it sounds like fun – http://queenbeehalf.com/. I’ve heard great things about the Detroit Marathon and will definitely have to run the half sometime! I’ve heard great things about the Pig races. The Queen Bee sounds fun just off the name. Thanks for sharing. Yeah, the Detroit full is a must for me just to run across the int’l border. Thank you! I’m glad she got to experience something that will hold memories for a lifetime. It might be neat to try again for next year. BTW, I saw the bonus medals for the Bluegrass Classic. Pretty snazzy. I’m going to try next year if I don’t do a spring marathon. That is awesome! I know what you mean about the inspiring people at the end of the course. The past couple years I always go back after I finish and cheer for everyone else. The last ones are trying so hard and giving so much, you can’t help but tear up! Definitely! I saw a lot of “beat cancer,” “running for:,” “not having cancer but how you live with it” shirts. My favorite was Like Mother, Like Daughter worn by the two. It’s just good to know that people run for different reasons and support one another. I had a similar experience, acting as a pacer for a friend. She was struggling for the last half. I will be blogging about it tomorrow if all goes well. That being said, I can only imagine how proud you must be of Nylia completing her first half and realizing that it does take time and training to build into a race. I am proud of you. Now, let’s make some plans and get together.